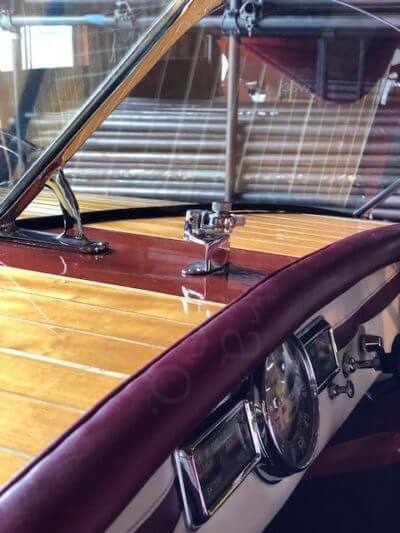 Click on the magnifying glass icon on the photo to view bigger photo. 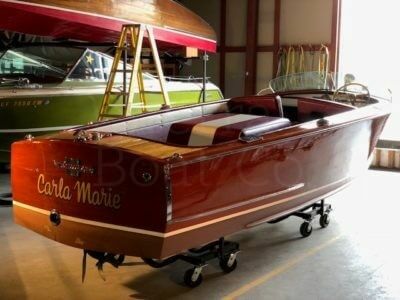 This is a 1951 Century 20ft Resorter. 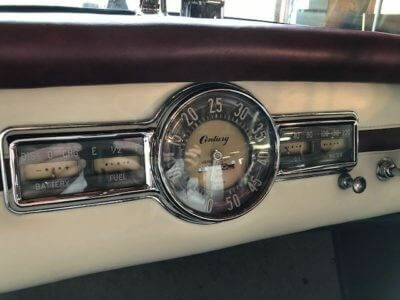 Century only made 384 20ft Resorters from 1950 to 1954. 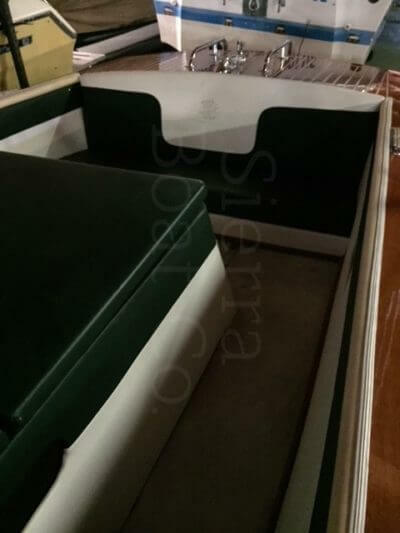 This Resorter, Carla Marie, is in excellent condition. 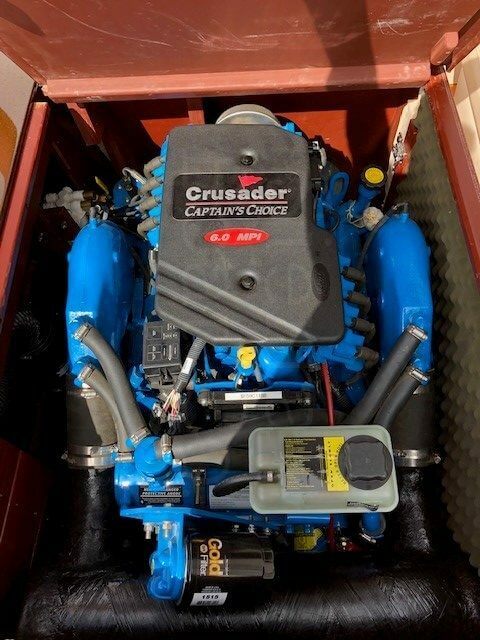 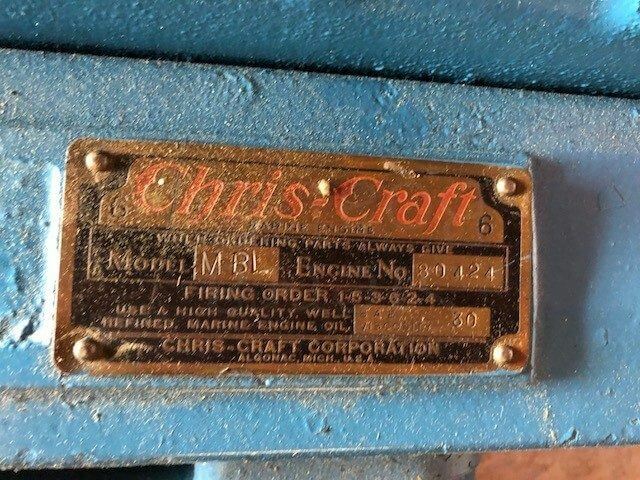 It is powered by a newly rebuilt Chris Craft MBL engine with 158 hp. The varnish on the deck and hull sides are in very good condition. 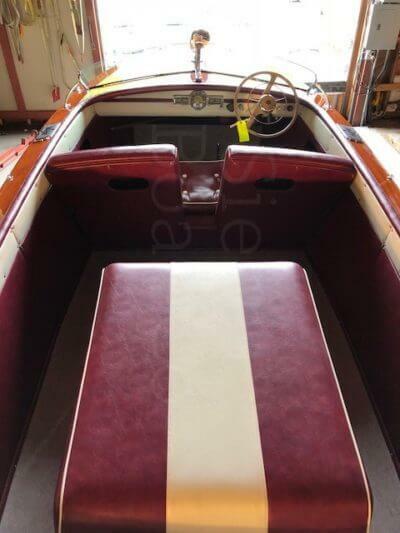 The bottom is a fiberglass bottom and is in very good condition. The interior has been well maintained and is in very good condition as well. 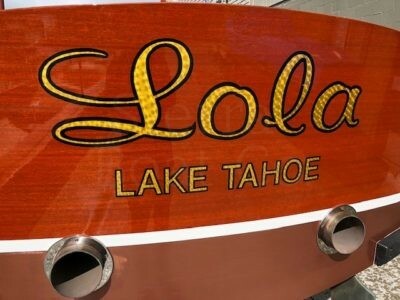 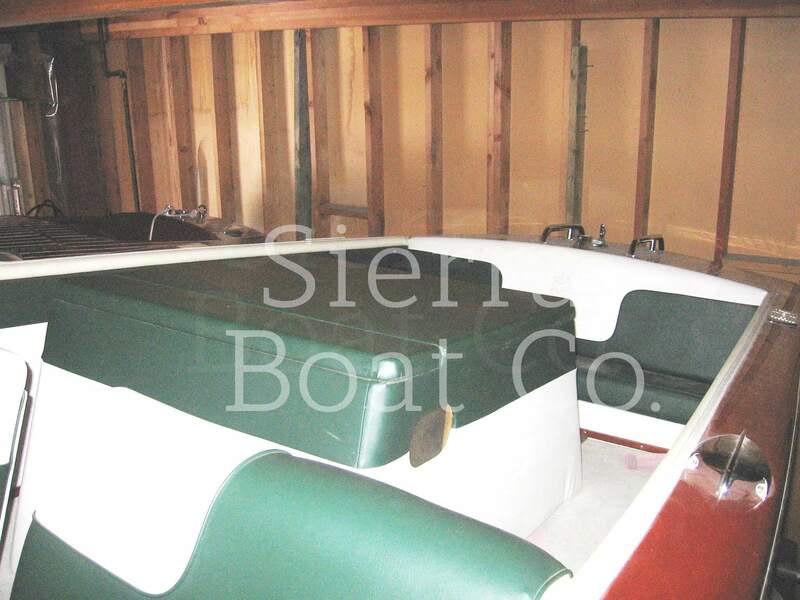 The boat comes with a custom waterline cover, spare prop, anchor, and custom 1999 trailer. This Century Resorter was in a slip at Sierra Boat for the past two summers. 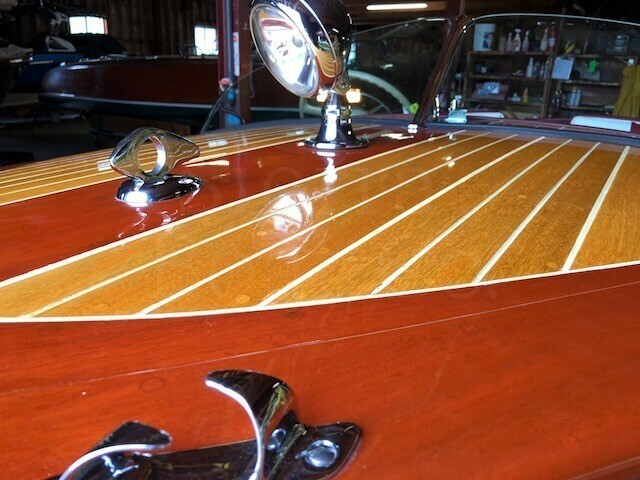 It is turn key, ready to be enjoyed! 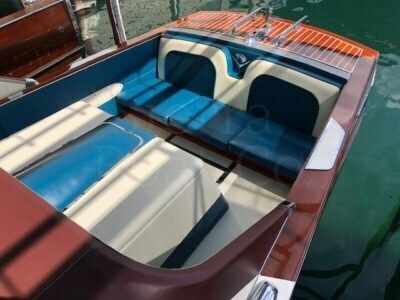 This is a 1960 Century 19ft Resorter. 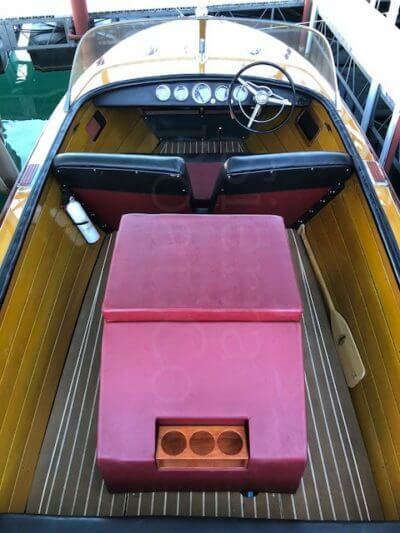 The 19ft Resorter is an excellent boat, but most people can’t get past the unusual square nose. 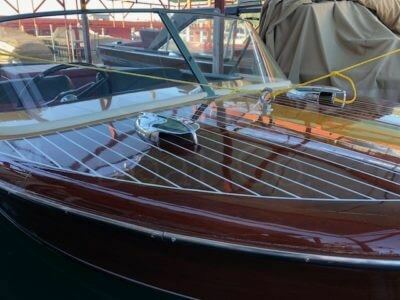 After this boat suffered some damage to the bow, the owner decided to rebuild the bow with a proper pointed nose. The repair changed the look of the boat and made it more desirable. 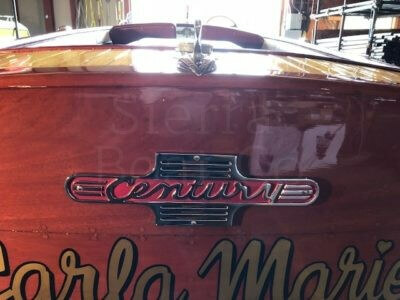 Sierra Boat has maintenance records and has performed the work done on this boat. 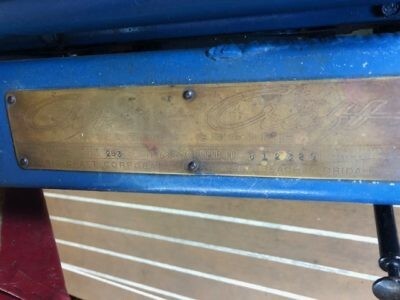 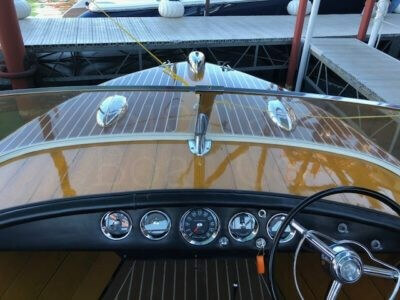 The deck varnish is in excellent condition and the hull sides and transom are in good condition. 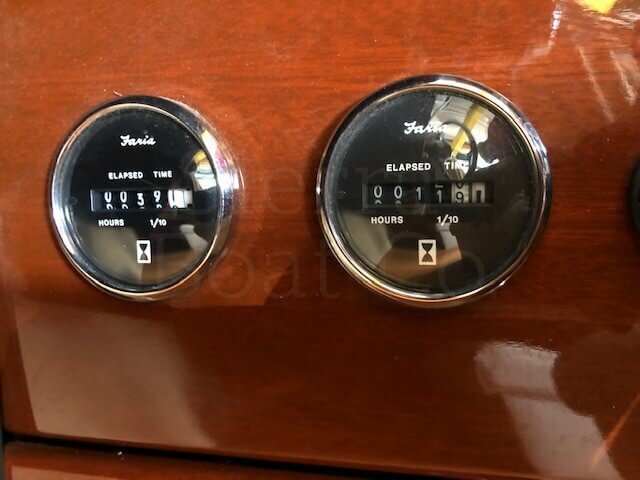 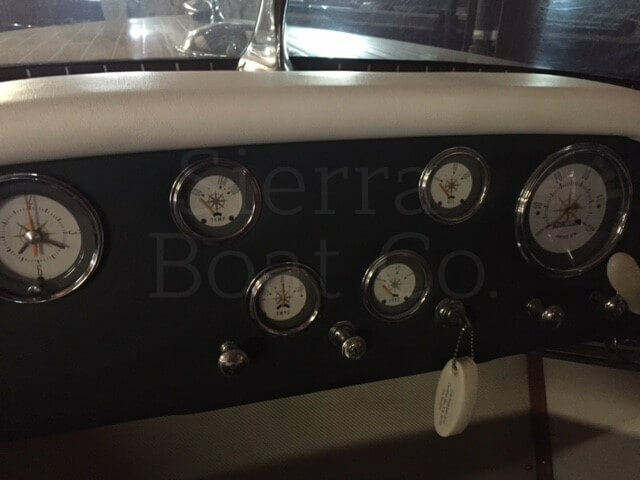 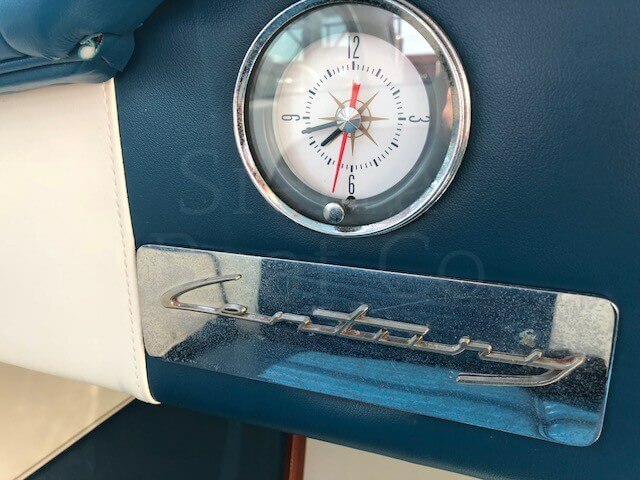 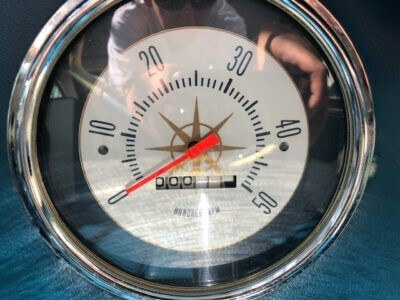 The upholstery, engine box and dash gauges were all new in 1998. 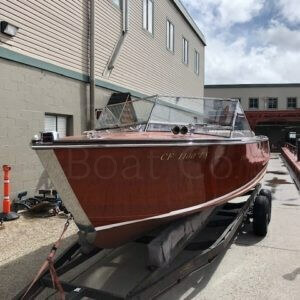 The boat was last used in 2003 so it had very little use after the work was done. 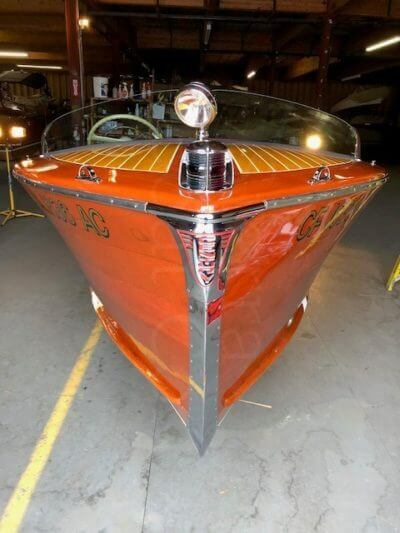 The boat is powered by a Ford Interceptor motor with 250 hp. 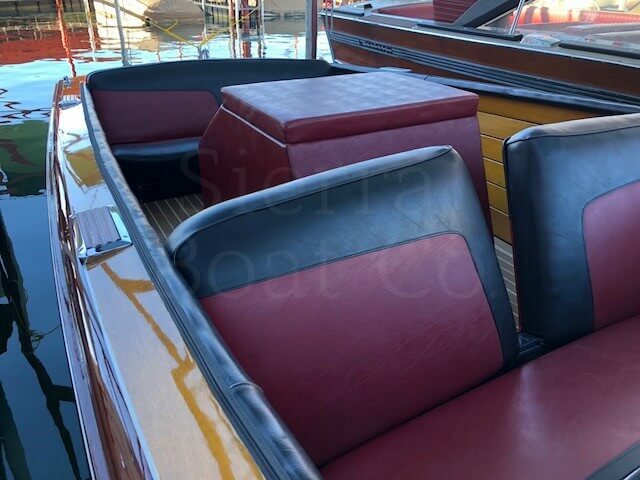 Sierra Boat fiberglassed the bottom which had some minor repairs done to it in 1999. The fiberglass bottom is solid and is in good shape but will need some repairs before going back into the water. 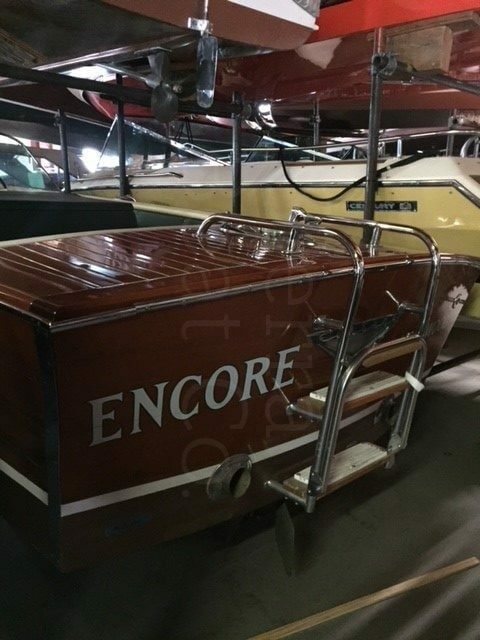 This Century Resorter is the perfect family ski boat with the built-in ladder on the transom or a great first wooden boat! Price reduced to sell! 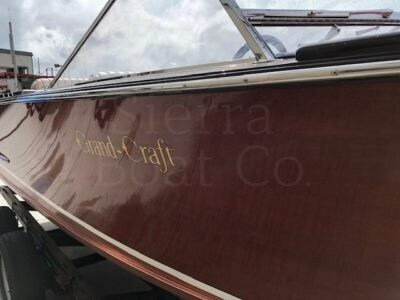 2007 Grand-Craft 24ft Luxury Sport. 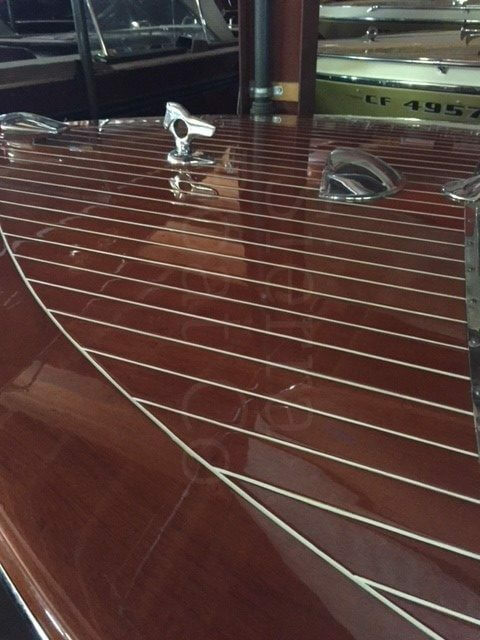 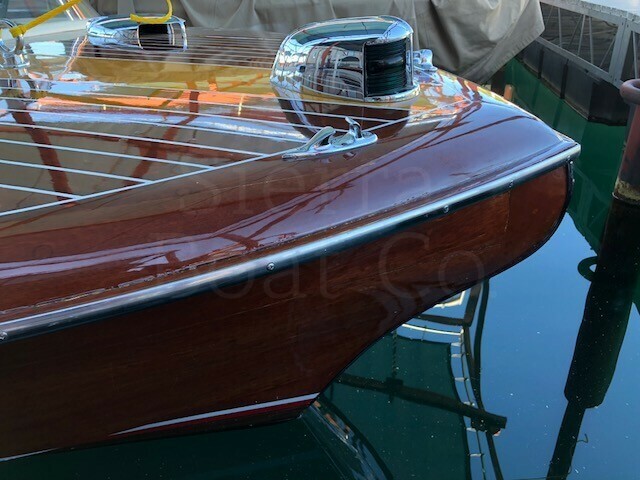 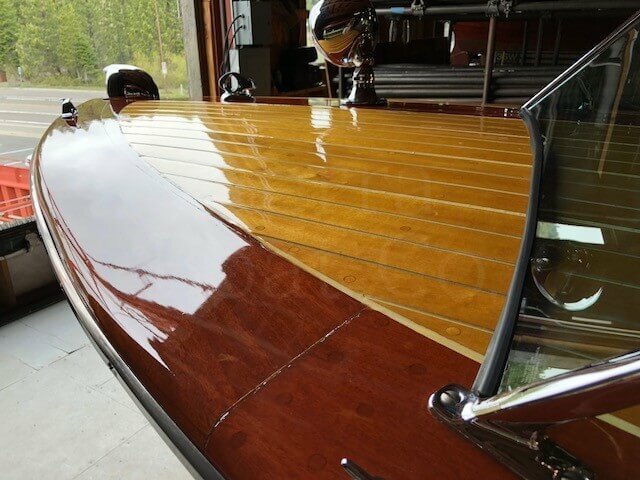 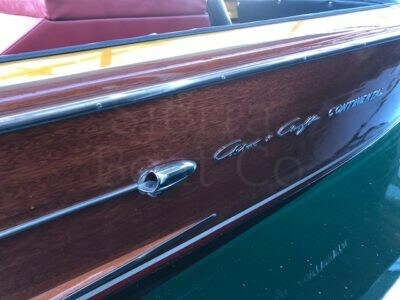 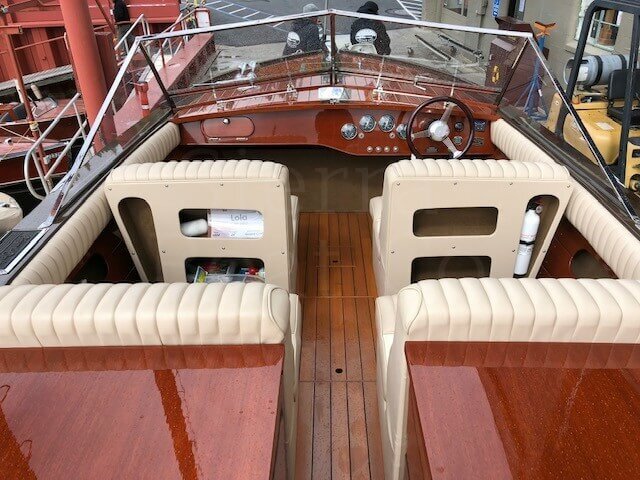 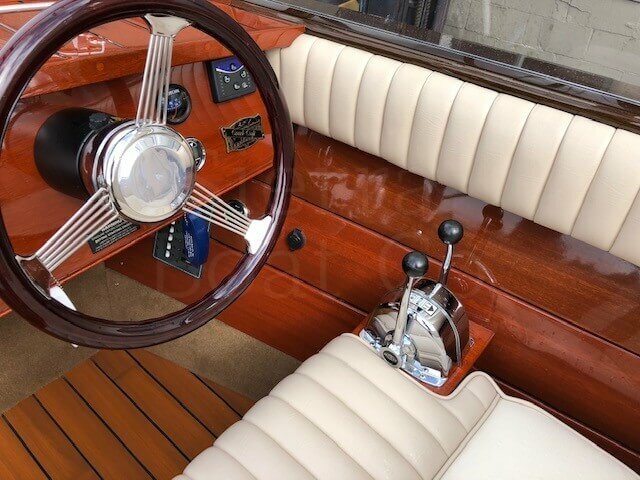 Grand-Craft’s are handcrafted mahogany runabouts embodying the classic design and enduring spirit of the 20s and 30s. 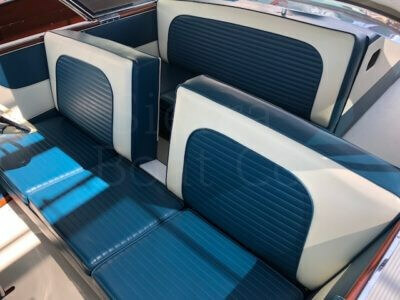 These boats are influenced by classic American design and built with every modern convenience for superior performance. After almost 40 years of building mahogany boats, Grand-Craft continues to thrive with the highest level of quality craftsmanship. 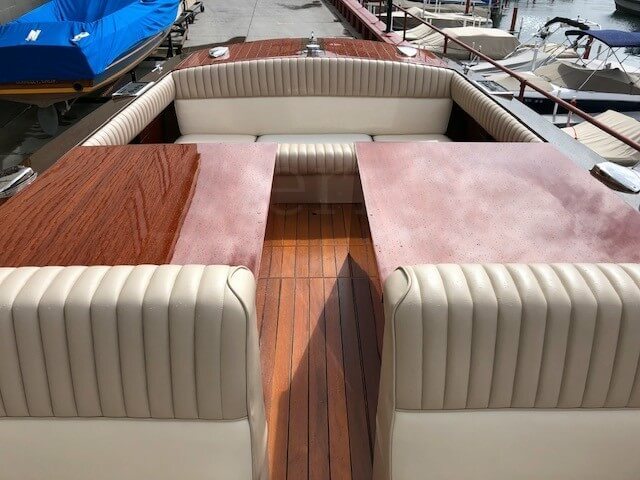 The Luxury Sport design offers comfort, nimble handling, and ample room for day boating with friends and family. 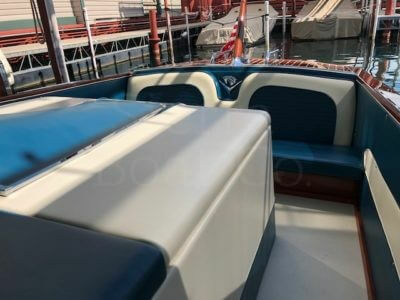 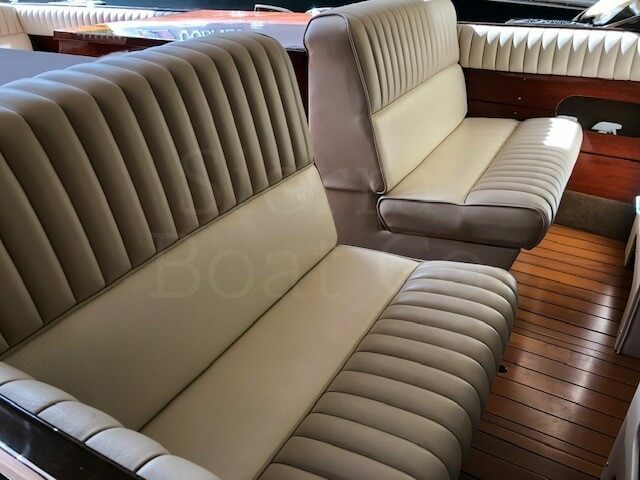 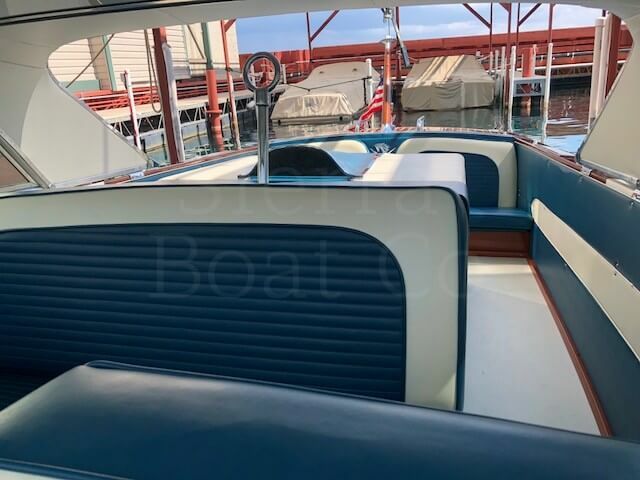 The wide beam translates into ample cockpit room; four couples can sit comfortably in the two forward seating areas and the plush bench seat across the stern welcome’s additional guests. 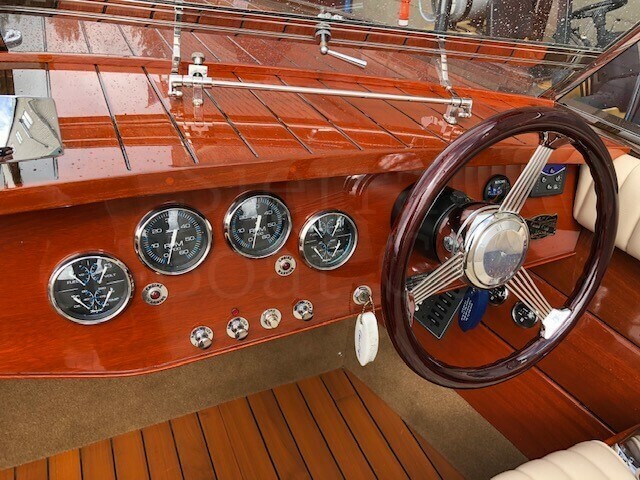 The hull design delivers confidence in the open water when handling rough conditions. 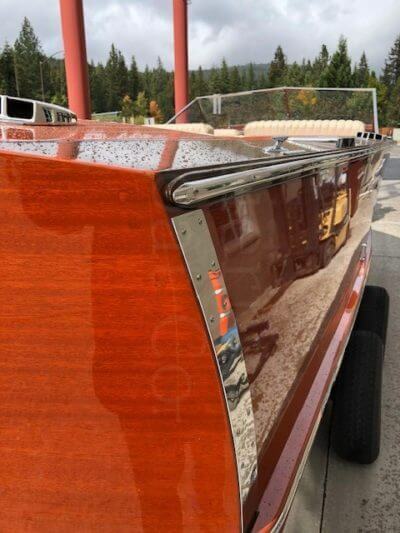 The higher freeboard makes you feel safer, yet you still feel the trill of the Luxury Sport’s outstanding performance. This Grand-Craft comes equipped with twin Crusader 6.0 MPI’s which offers impressive speed even at Tahoe’s high altitude. 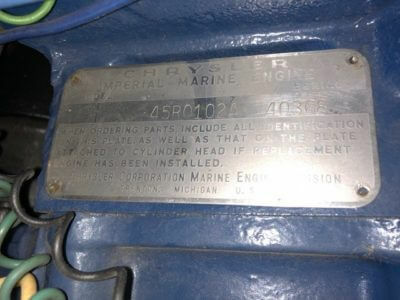 The engines have less than 40 hours on them and have been in fresh water only. The boat was built in 2007 for its current owner and has been stored and serviced by Sierra Boat since new. 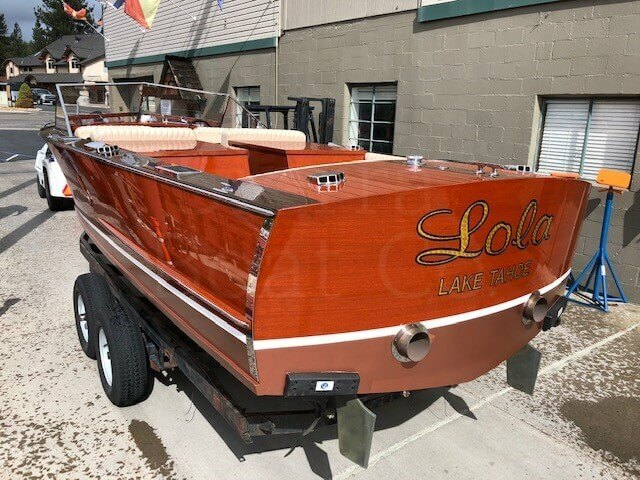 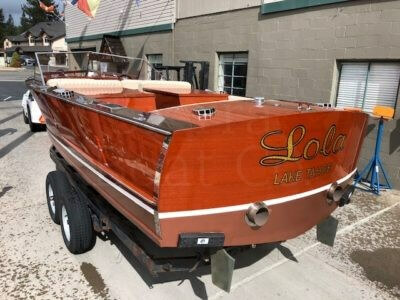 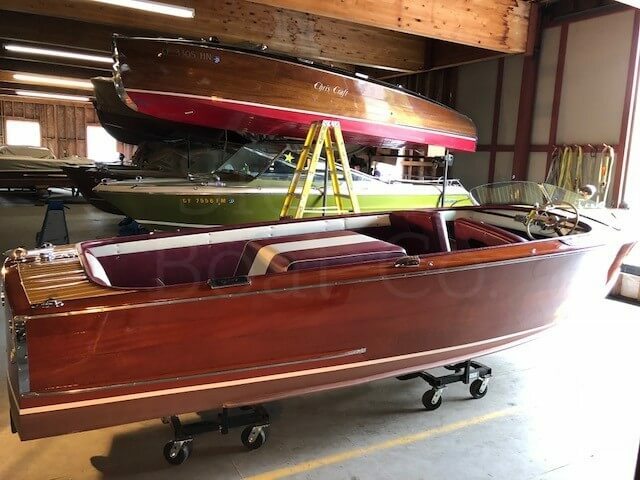 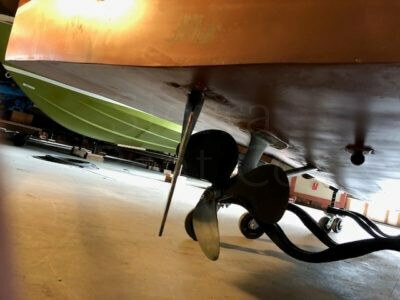 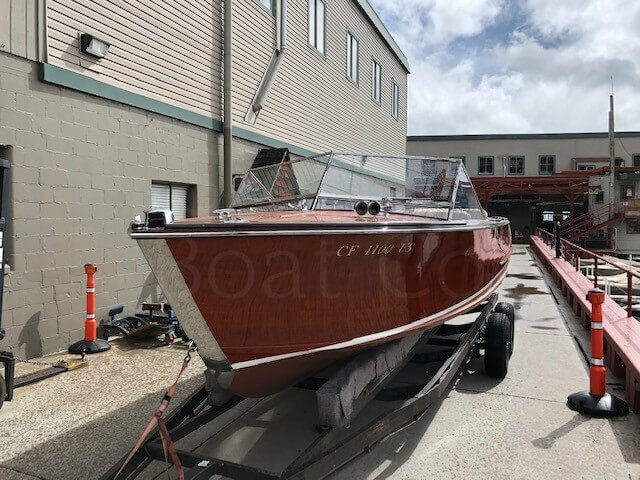 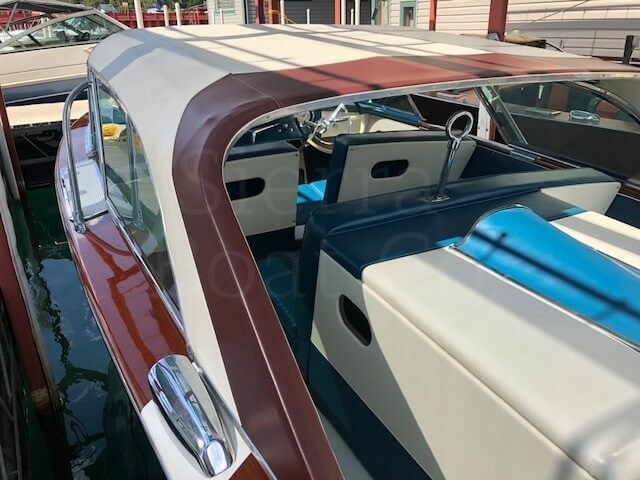 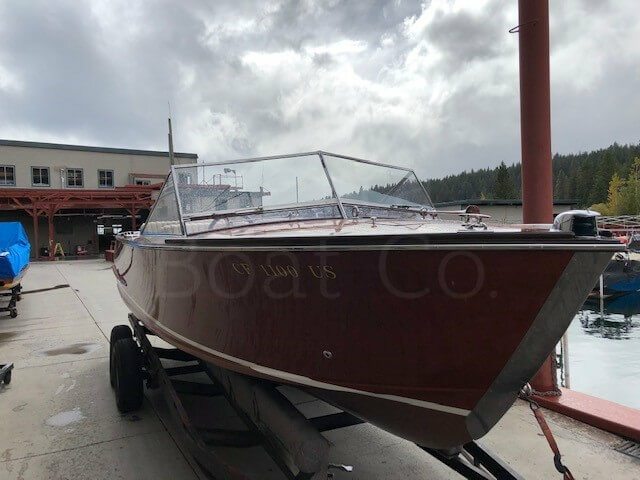 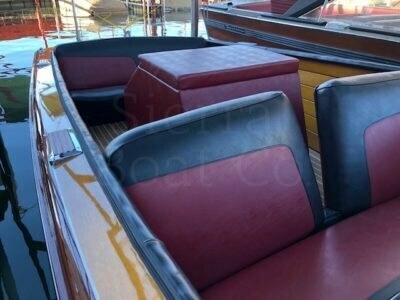 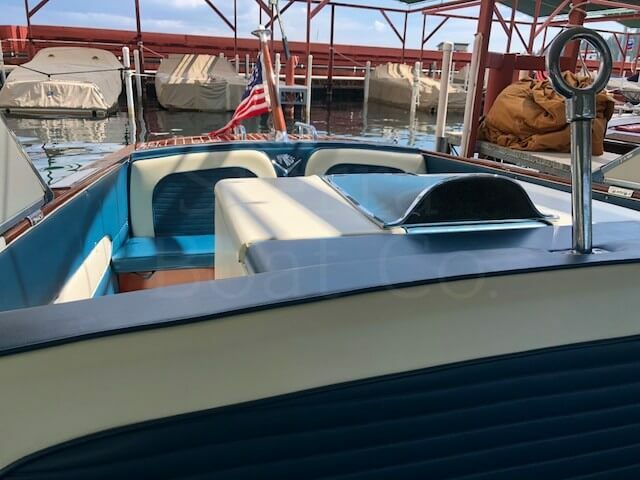 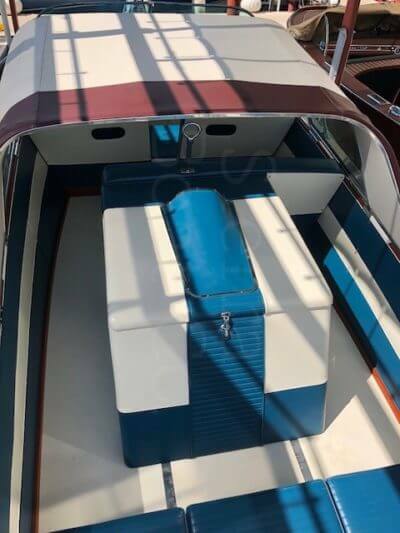 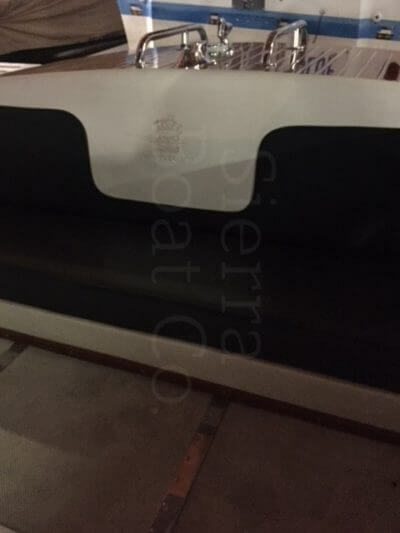 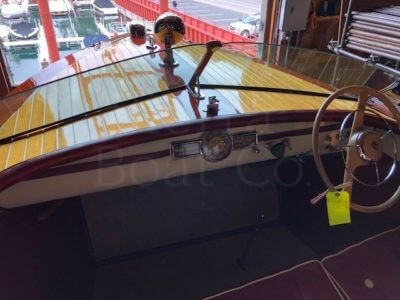 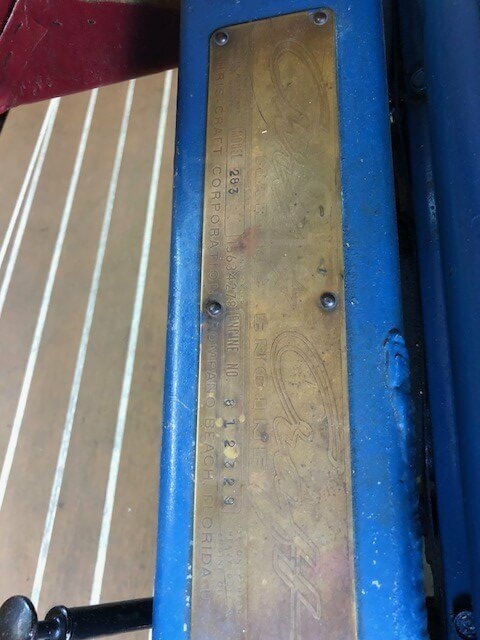 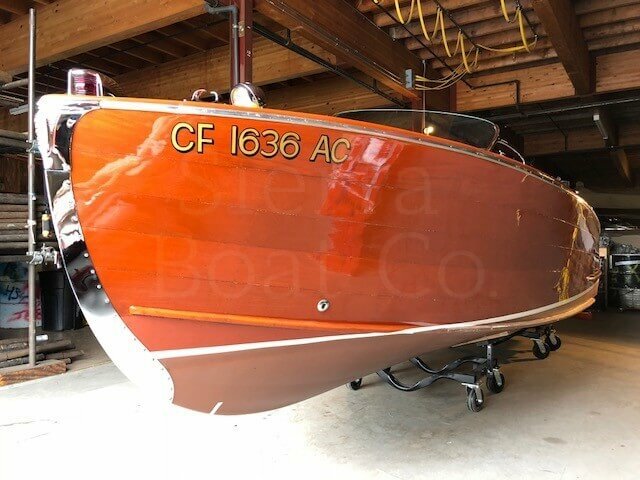 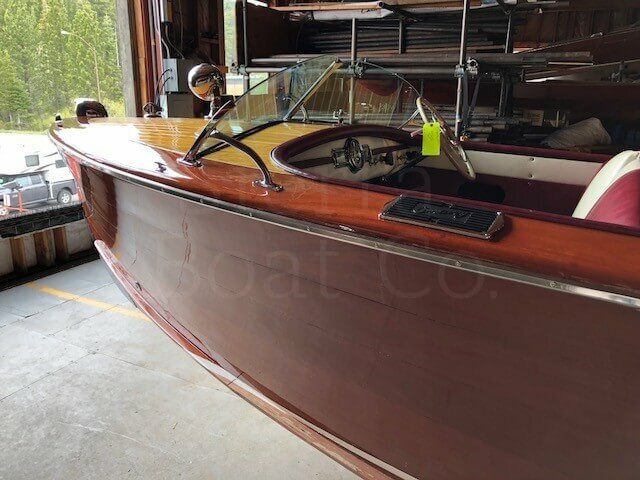 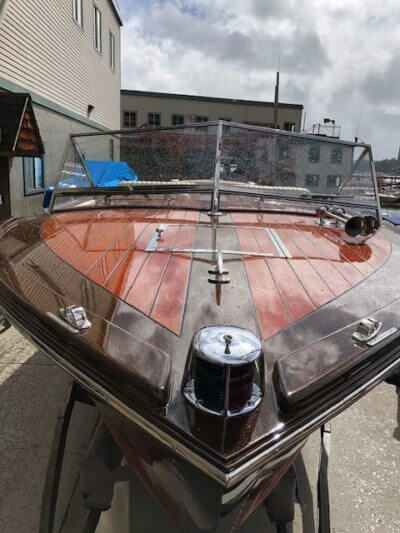 The boat received fresh varnish coats in the fall of 2018 and is currently in excellent condition. 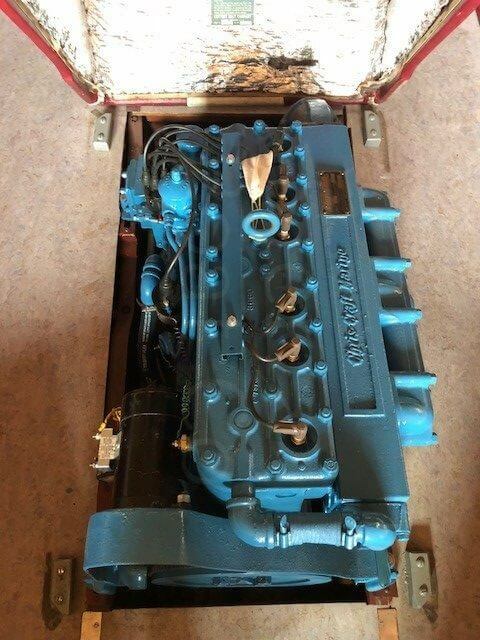 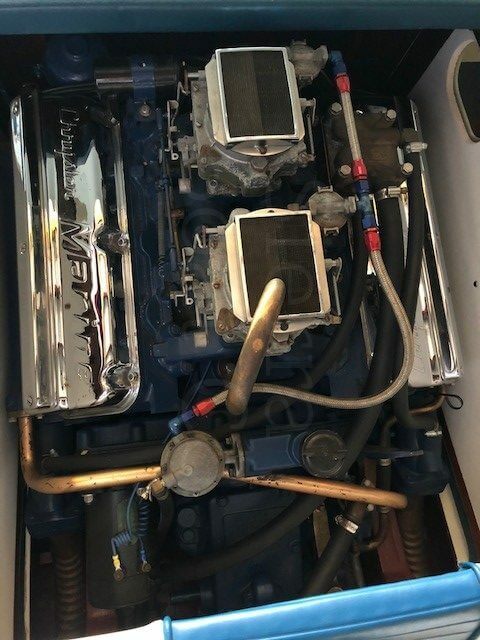 Engine: Twin Crusader 6.0 MPI, 375 hp ea. 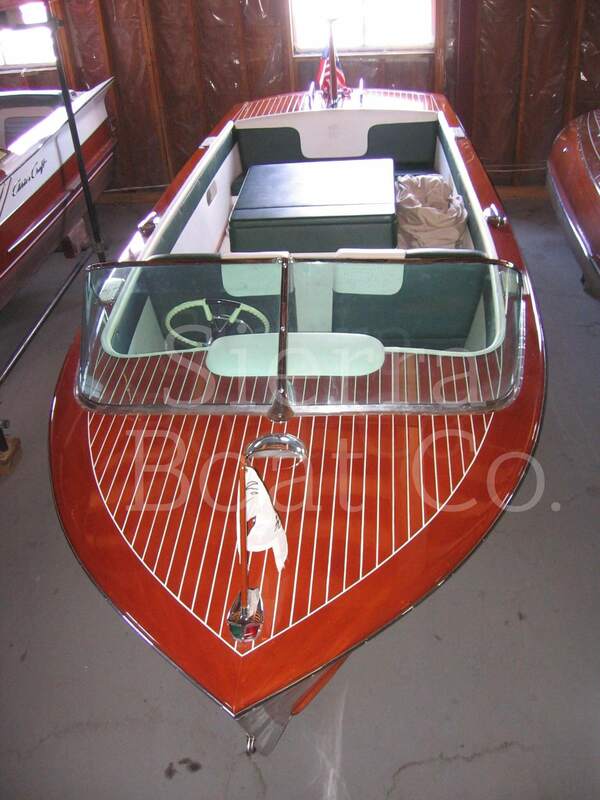 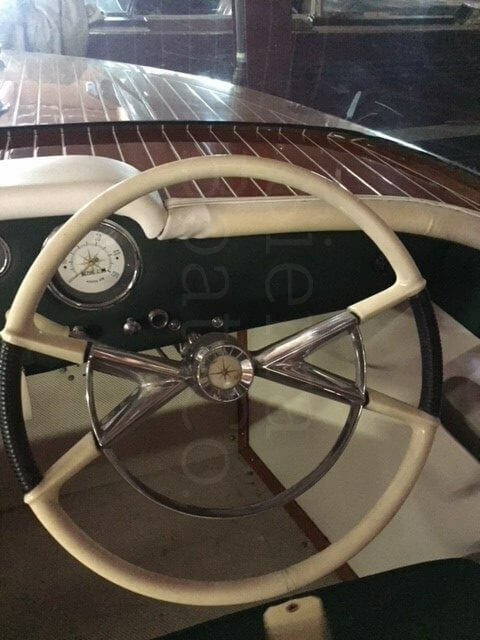 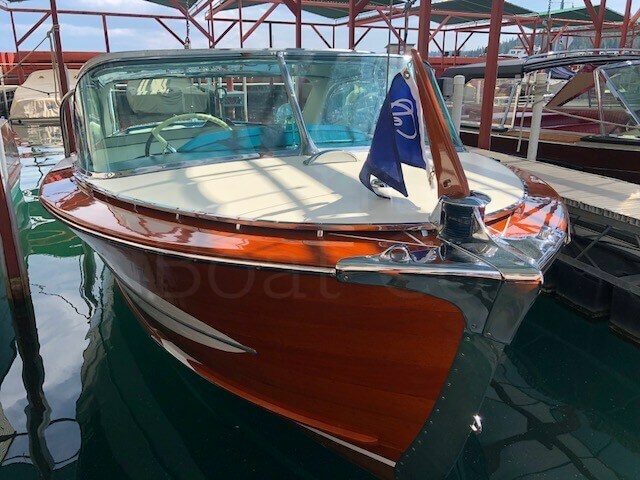 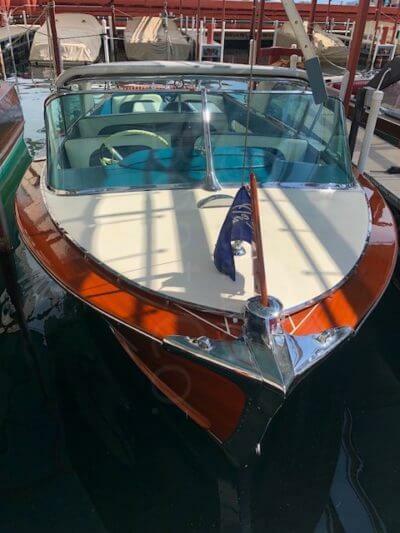 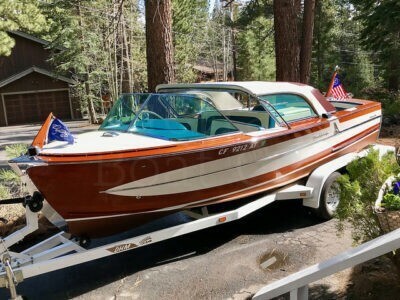 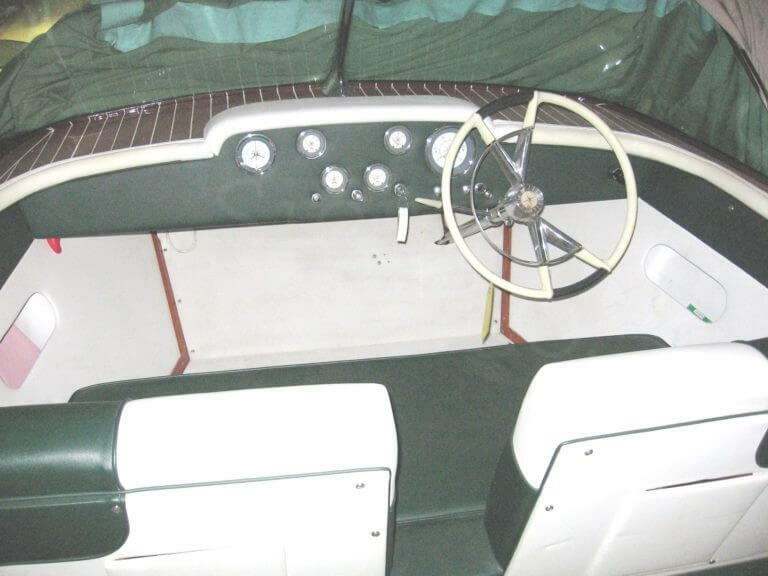 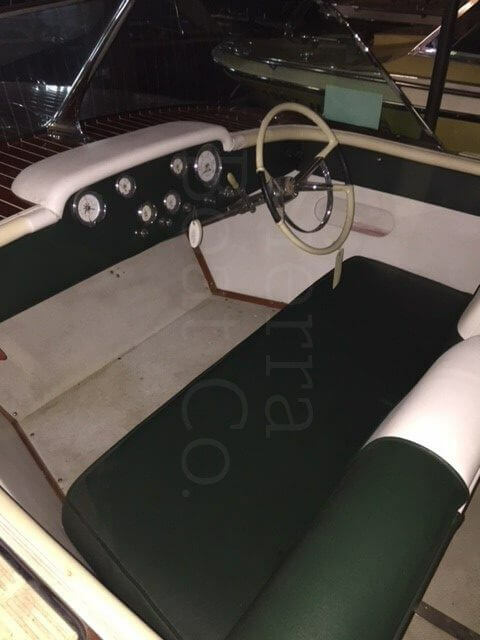 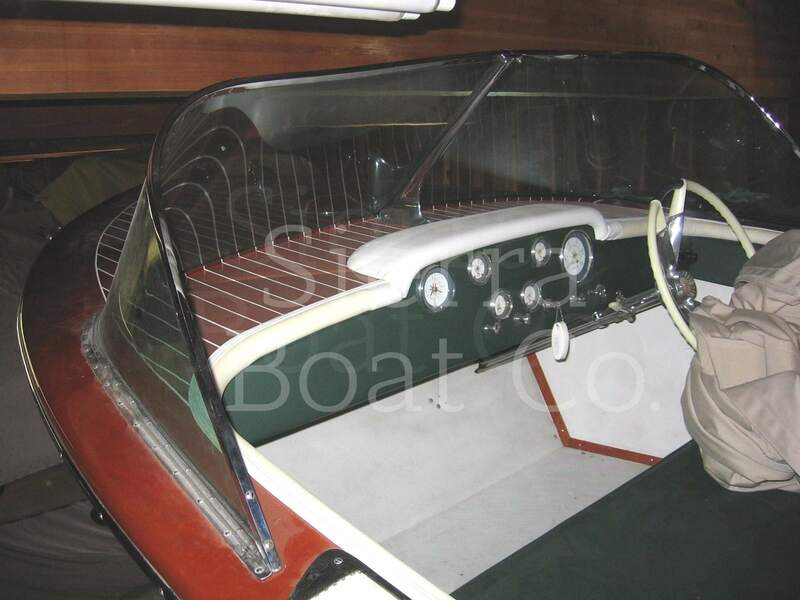 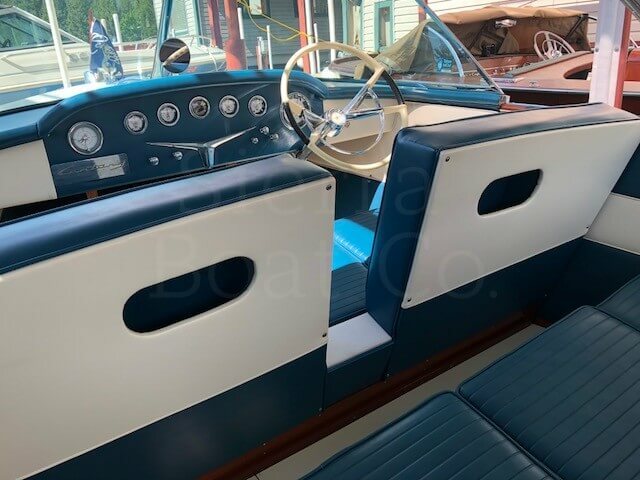 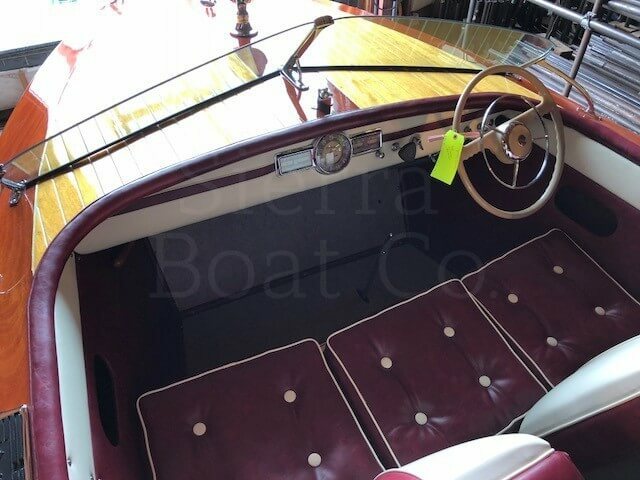 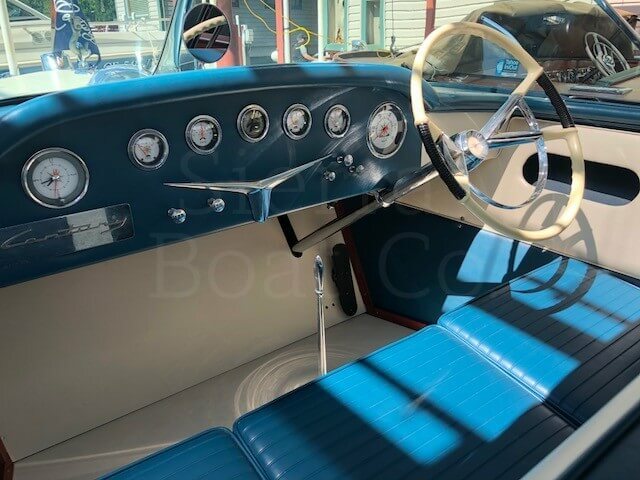 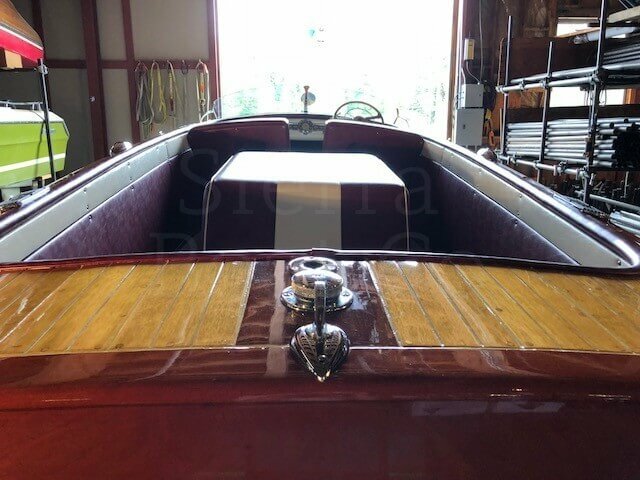 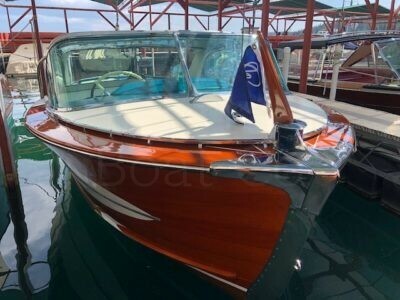 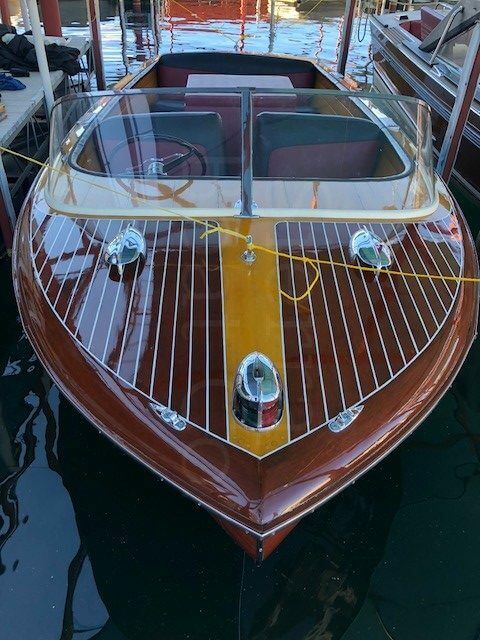 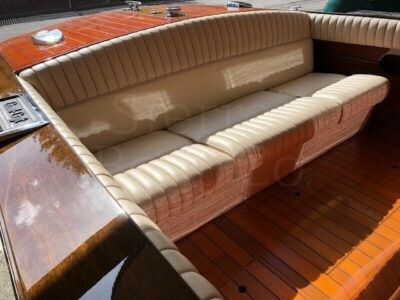 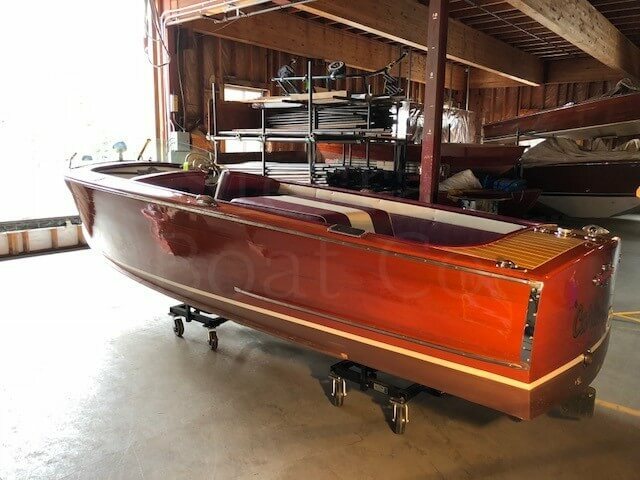 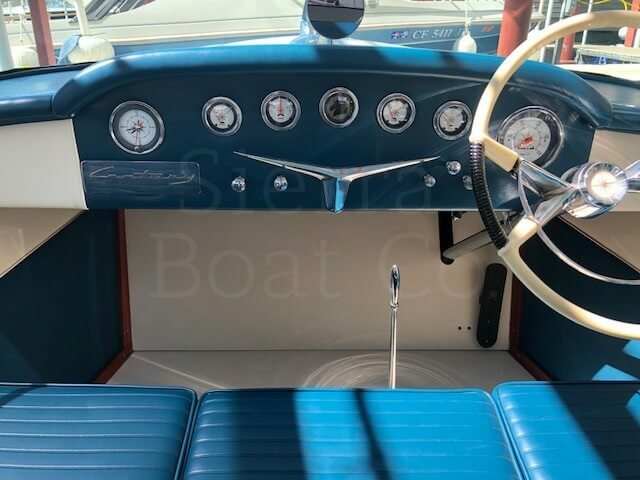 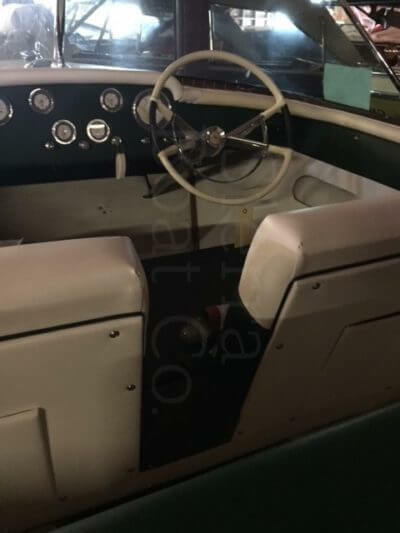 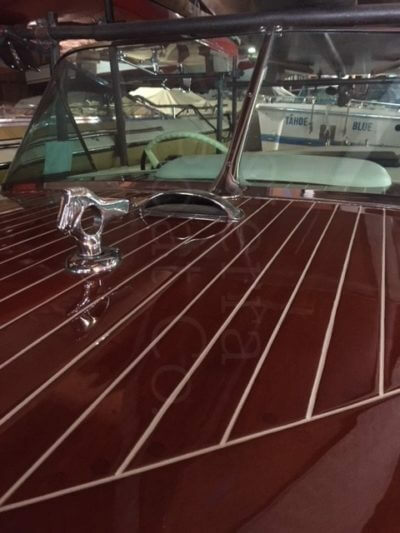 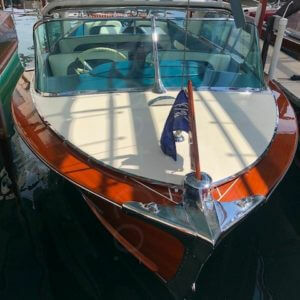 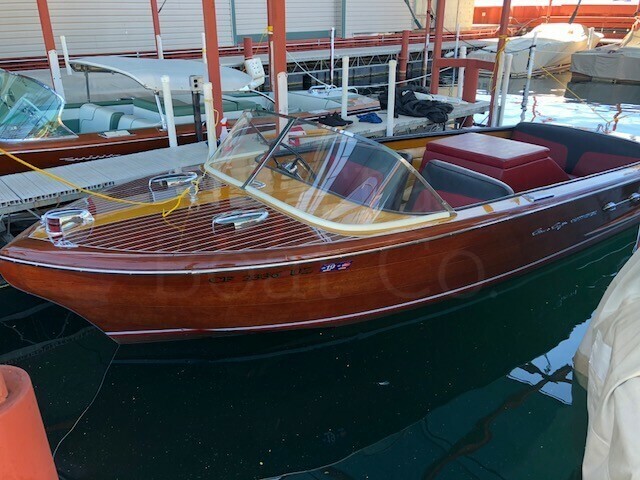 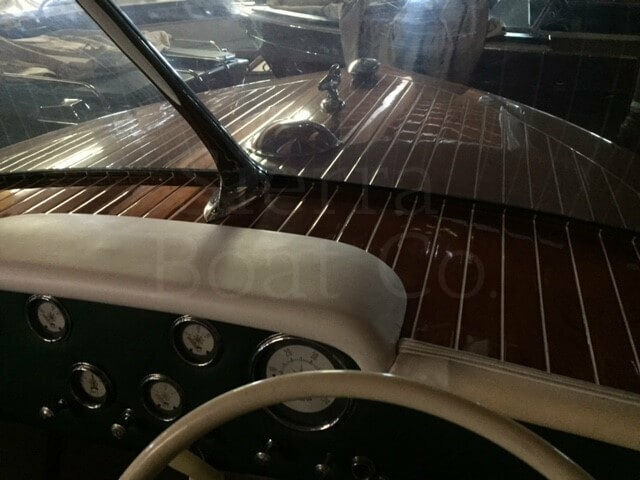 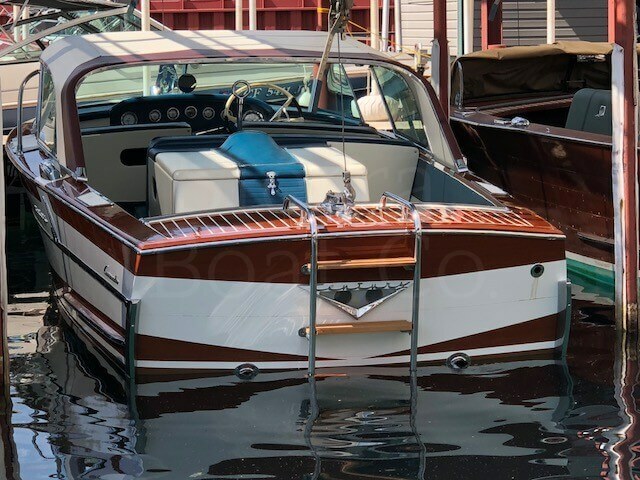 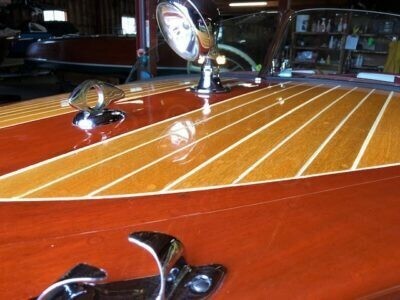 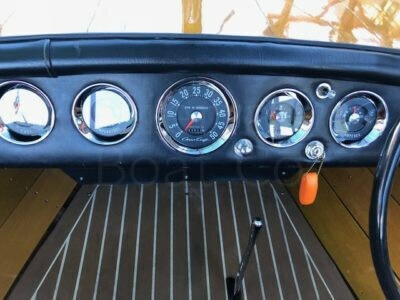 1956 Chris Craft 18ft Continental. Since the beginning, Christopher Smith crafted the boats that dreams are made of. 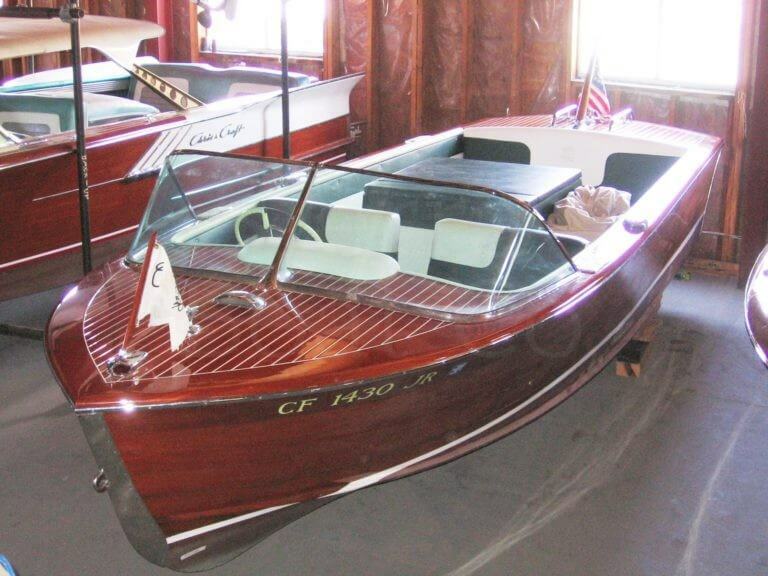 Chris-Craft boats became the cultural icons that gave people a new freedom to explore the clear waters of local lakes and distant shores. 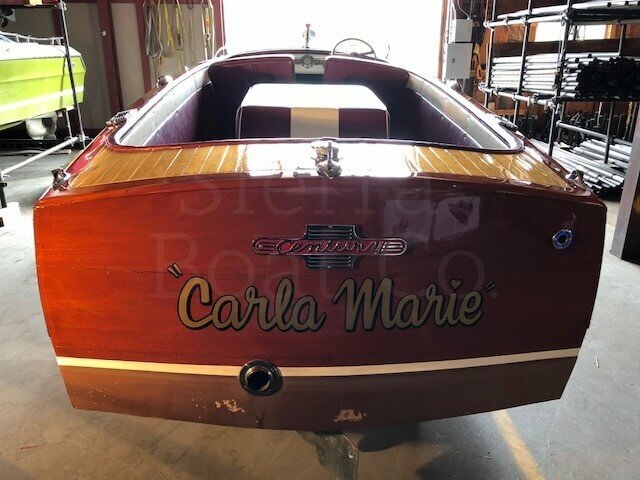 More than any other brand, Chris Craft was responsible for America’s romance with boats – and ultimately, for redefining boating pleasure for generations of people everywhere. 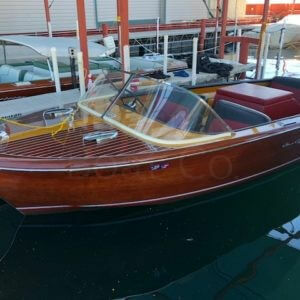 This Chris Craft is in good condition. 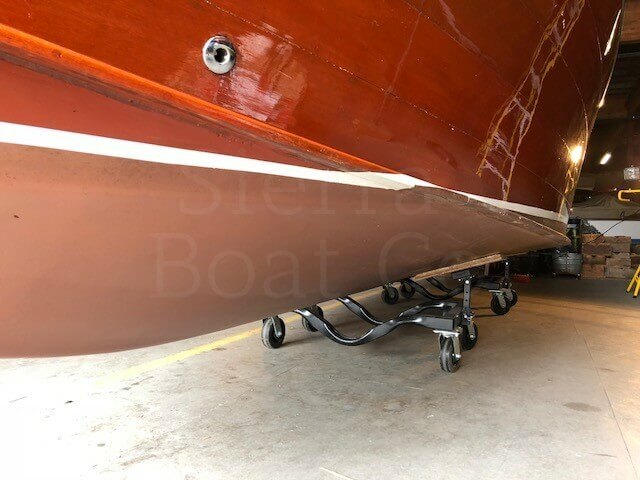 The deck and hull side varnish are in very good condition. 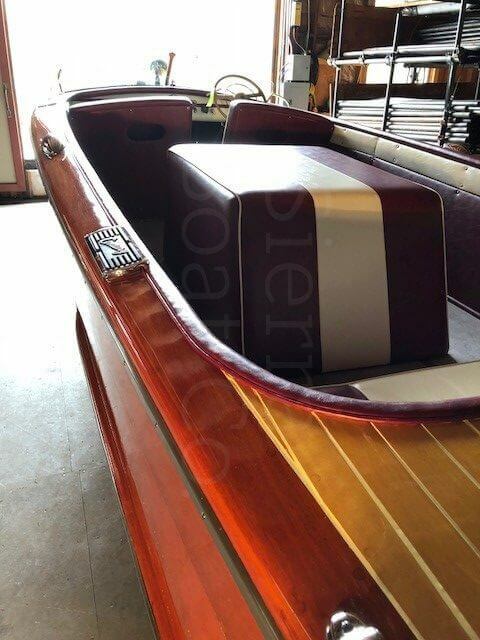 The bottom is a cold molded epoxy bottom and is excellent condition. Bilge paint is in good condition. All hardware is present, and chrome is in good condition. Interior is not period correct but is custom and in very good condition. Flooring is not period correct as well but is custom and in good condition. 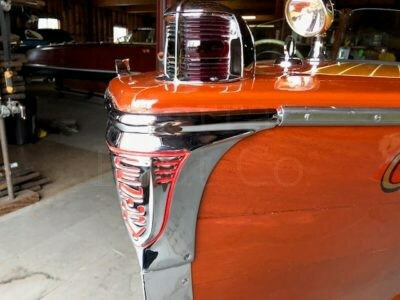 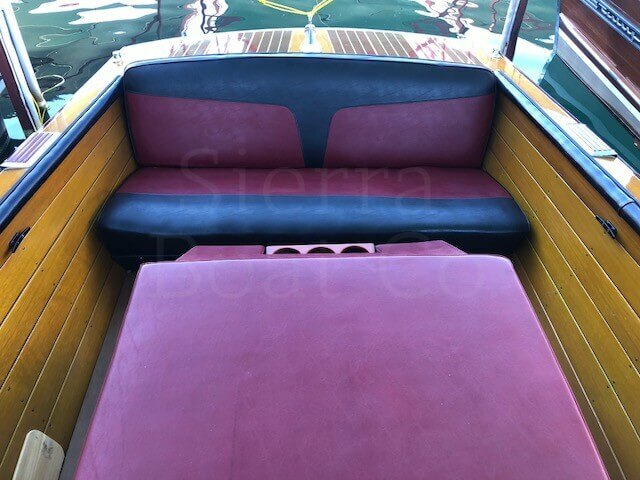 All the restoration work was done at Classic Craft in Sacramento and Fine Line Trim and Upholstery in Rancho Cordova. The seller has put together a impressive binder of all the records of work done to this boat. 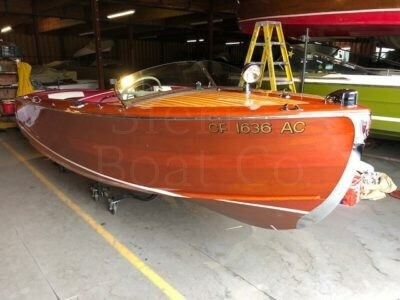 The boat is powered by a Chris Craft 283 that was converted into a 350 with 260 hp in 2010. 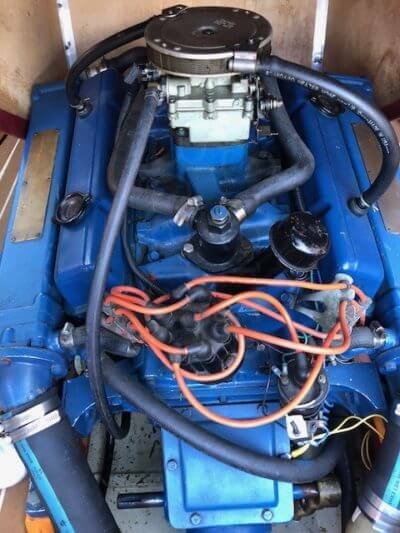 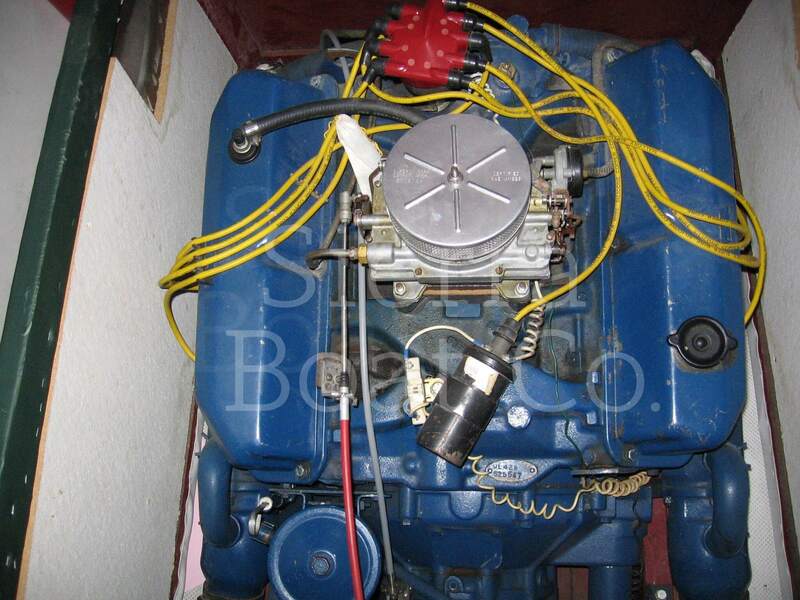 The engine has 34 hours on it since the rebuild, runs really well and has been tested by Sierra Boat. 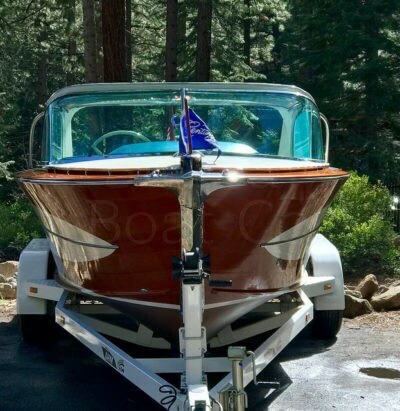 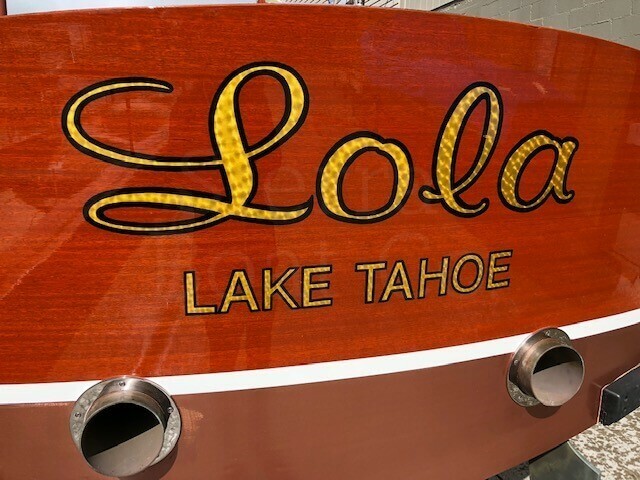 The boat comes on a 2014 California Trailer Works trailer that is in excellent condition. 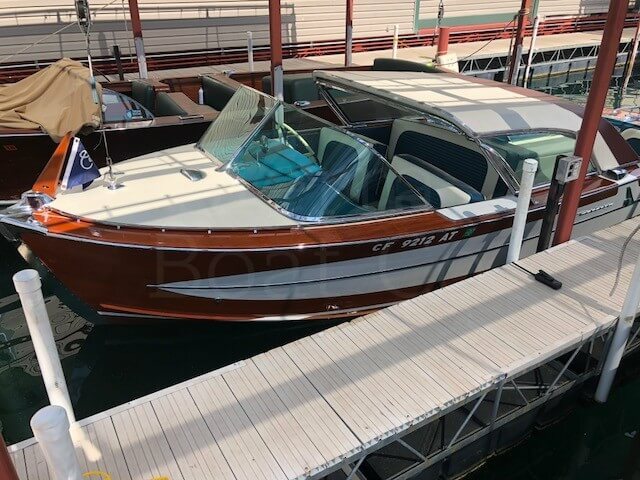 This Chris Craft Continental is ready for a new home! 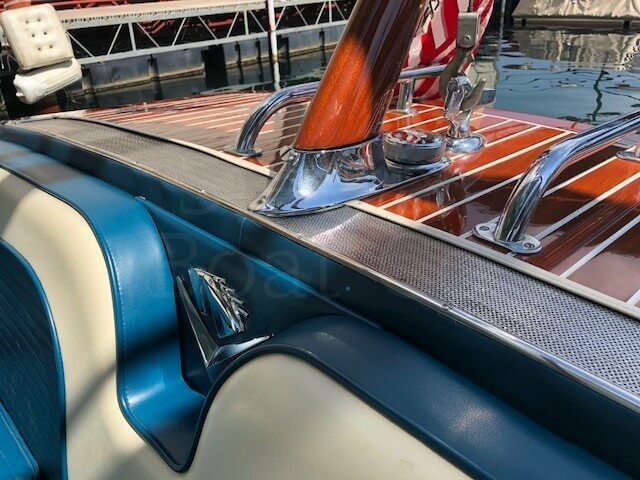 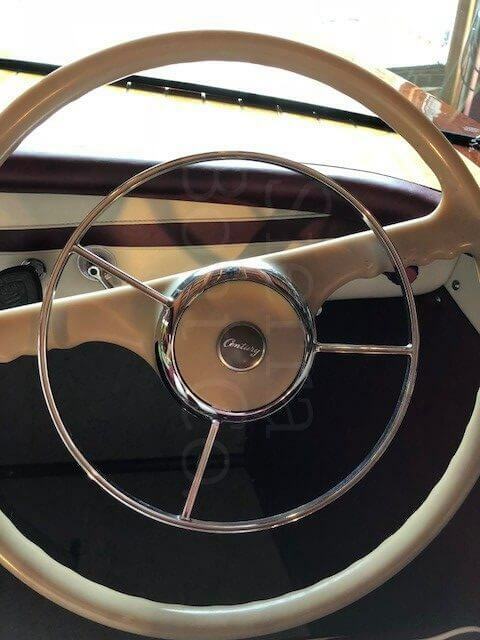 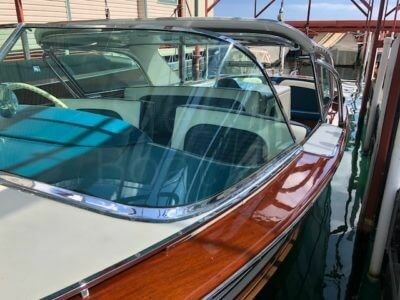 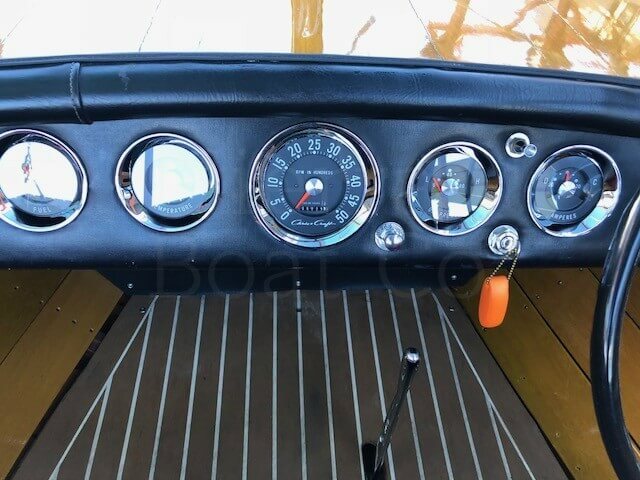 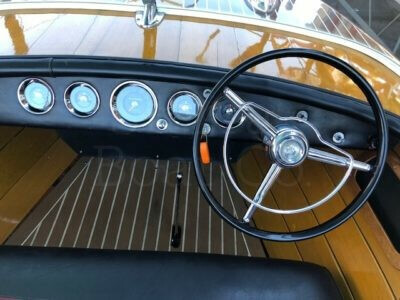 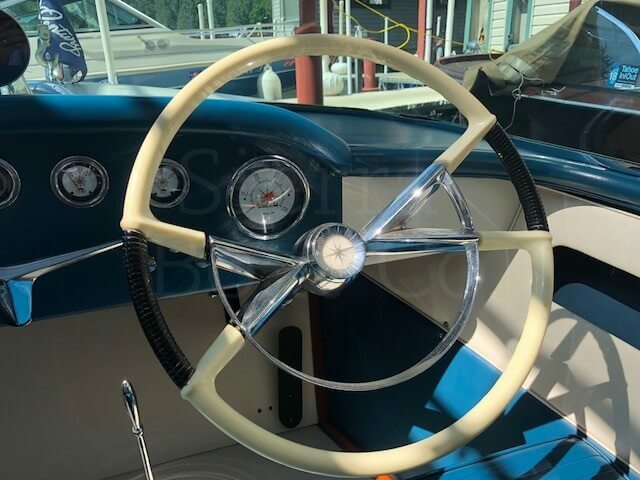 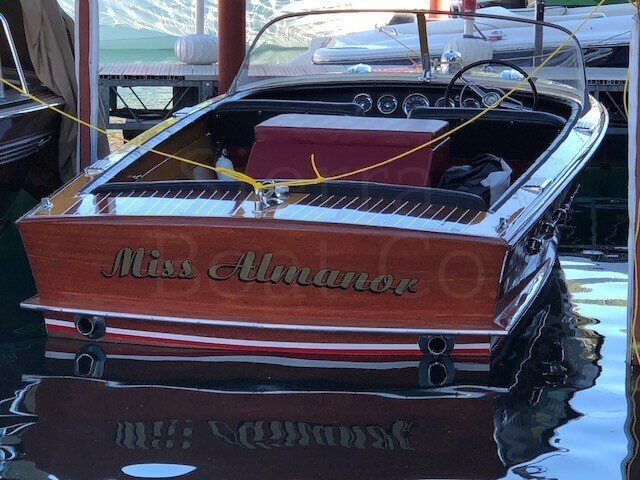 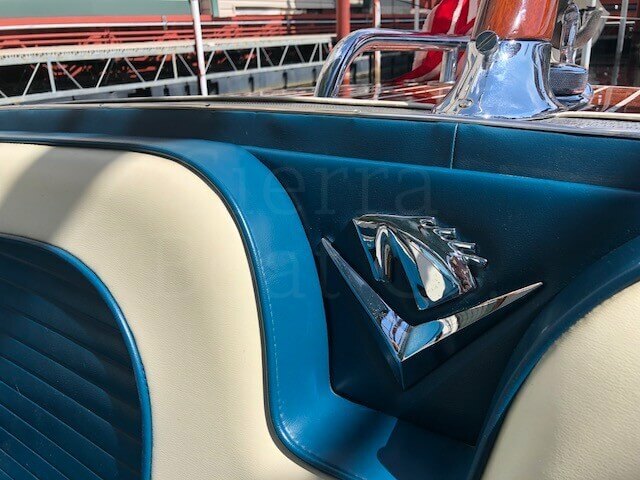 In the world of classic boating, the name “Coronado” represents the dramatic new approach to wooden boat design that Century brought to the market for the 1955 season. The Coronado has been and will continue to be one of the ultimate family boats that is truly versatile for enjoyment, watersports or cruising. This Century Coronado is in excellent condition. 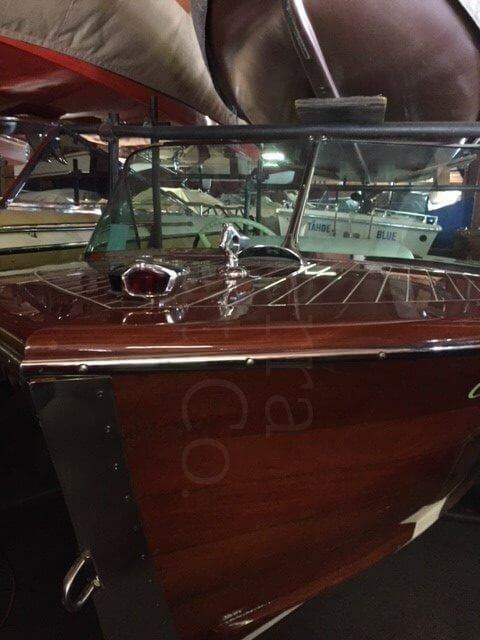 The boat was fully restored but never used after the restoration. 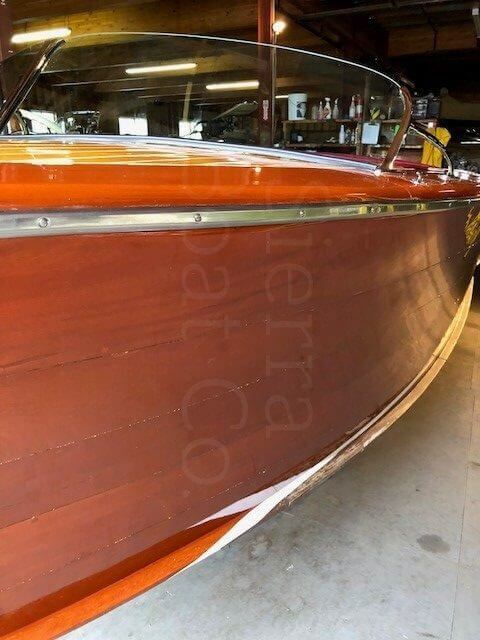 The varnish on the deck, hull sides and transom are in excellent condition. 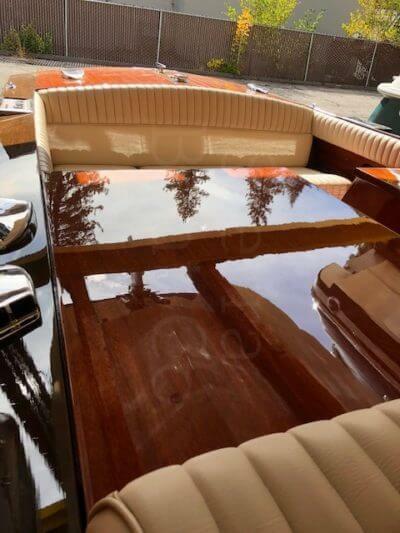 The fiberglass bottom is in excellent condition with no leaks. The plexiglass in the windshield is in very good condition. 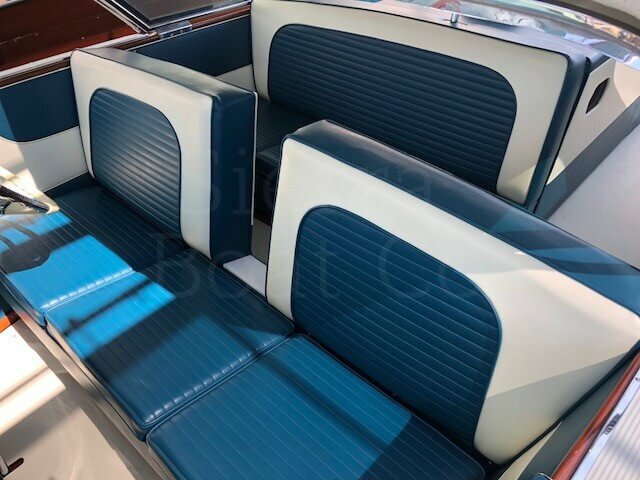 The upholstery and flooring are in excellent condition, looking brand new. The bilge is clean and in excellent condition as well. The boat is powered by a Chrysler Marine Hemi that was completely rebuilt. The engine currently has only mechanical test time on it. 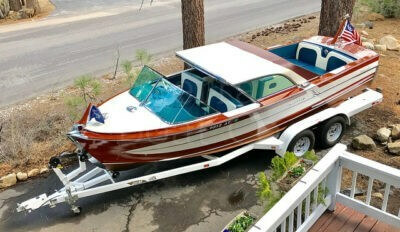 The boat also comes on a 2000 Custom DHM trailer that is in very good condition. Don’t miss out on this incredible opportunity to get into a completely restored classic wooden boat!